Something has been brewing for the past few weeks! 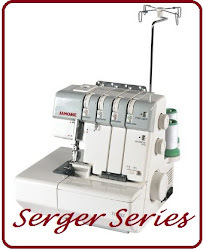 I contacted a group of sewing bloggers who I find very inspiring and invited them to join me in a sewing project. The idea is simple. One pattern, seven bloggers, infinite possibilities. 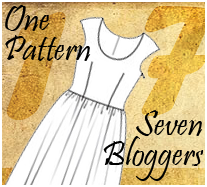 And so the "One Pattern Seven Bloggers" project was formed. Everyone said yes to the project, and we have since been emailing with questions and ideas! Today marks 'day one' of the project, and our first blog post. Every Wednesday we will be posting about our progress until the big reveal on the 1st of June! For the dress... I have been giving some thought to modifying the skirt to create a more '50's look by gathering the skirt significantly, and perhaps making a petticoat to add extra volume under the skirt. 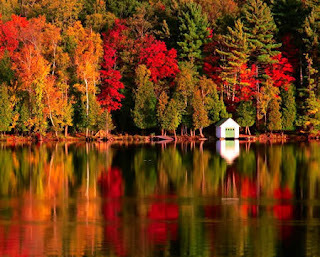 Our landscape here is quickly changing to autumn hues of burnt oranges and reds, so I am going to use autumn colours as my inspiration for the fabric. I love the bodice of this dress so I cannot see myself changing it much. I am also thinking of making a fabric belt to match the dress. I will probably stick to a cotton fabric for this dress, as I like sewing with natural fibers. Now, off to find some fabric...! Gorgeous colour inspiration! Can't wait to see what fabric you find. Ooh that colour inspiration is fantastic! I'm in Queensland- which means we get Summer or Winter... no Autumn! Those colours and warm and lovely! I am the same as Reana Louise! I live in QLD so never see Autumn. When we went to Canberra last year it was so much fun to see all the autumn colours. Gorgeous! 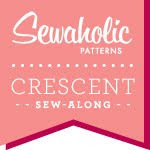 I contribute on Sew Retro - Click below to visit us! 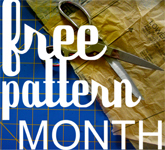 How do BurdaStyle printable patterns work? Click on the image to read my quick guide to using printable BurdaStyle patterns from their website. My Walk Away dress - Butterick 6015.